Ove is a man with strict principles and a short fuse, who spends his days enforcing block association rules (that only he cares about), and visiting his wife’s grave. However, behind closed doors, Ove has given up on life. When a young family moves in opposite (accidentally flattening Ove’s mailbox and earning his special brand of ire), an unlikely friendship forms. As he reflects on the tragic events of his past, Ove begins to wonder if he might actually have a reason to live. Ove reminded me of a cross between the old man in Pixar’s UP and Scrooge. He is unbelievably grumpy - always complaining and judging the actions of others. You may be wondering why you would want to spend time with such a man. Well, during the course of the film we discover Ove’s remarkable life story and see that, beneath his harsh exterior, there lies a very big heart. Rolf Lassgård gives a wonderful performance as Ove. He made me laugh from start to finish - Ove’s abrasive comments are truly priceless. However, Ove certainly meets his match in new neighbour Parvaneh (a great portrayal from Bahar Pars). In several charming and funny scenes, she refuses to be bullied by Ove or tolerate his offensive behaviour. Having not read Fredrik Backman’s novel, I was intrigued to discover how Ove had become such an irascible man. Using (frequent) flashback sequences, Holm tells Ove's story. I very much enjoyed this part of the film. It is surprisingly romantic and very moving. As a result, I forgave the film's rather over-sentimental final act. I was more than happy to be swept along in the darkly funny company of A Man Called Ove. 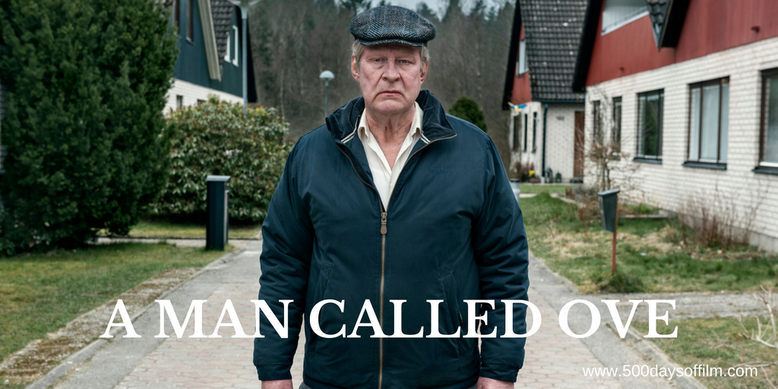 Have you seen A Man Called Ove? If you have, what did you think about this film? Let me know in the comments section below or via Facebook or Twitter (@500DaysOfFilm). do not like science fiction . Like " the man Called Love " Ta!! !